Geistlich SafeScraper TWIST provides an easy method for harvesting autogenous cortical bone, for use in grafted sites with a minimally invasive technique. 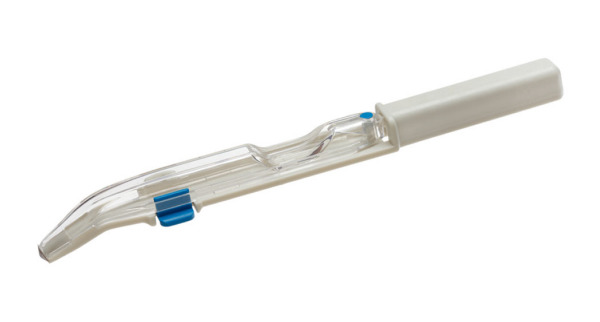 Its curved tip facilitates easy access to donor sites which makes Geistlich SafeScraper TWIST the ideal device for both minor and major harvesting procedures. This manual harvesting technique allows the graft to retain cell viability, which is essential for graft integration. The collected bone shavings are mixed with blood, which can be combined with Geistlich Bio-Oss® or Geistlich Bio-Oss Collagen® to ensure volume preservation. For more information click here.